Home / Blog / Working together to feed more! Working together to feed more! Feed More’s Agency Network is made up of over 250 nonprofit organizations throughout our 34 county and city service area. 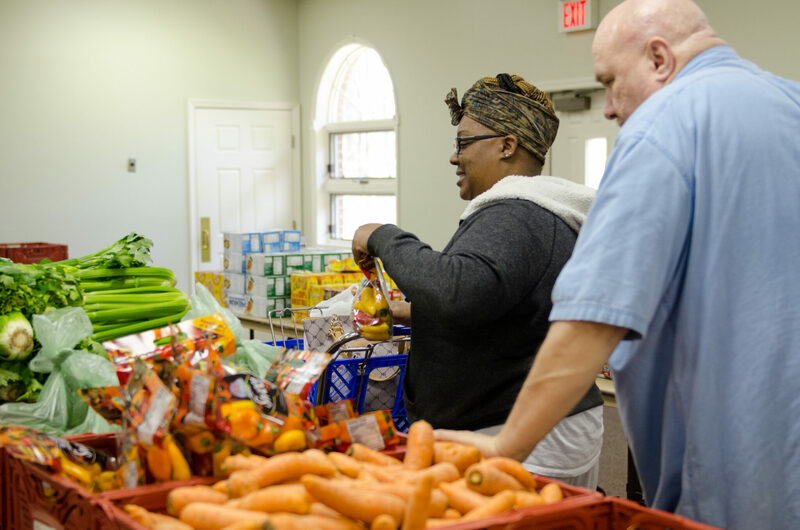 Partnering with these organizations allows us to help our member agencies distribute even more food to neighbors in the most effective manner possible. All types of nonprofits are members of Feed More’s Agency Network, from small churches that run strictly on volunteers, to much larger organizations with a staff and board of directors. From emergency shelters and soup kitchens to church-run food pantries and childcare centers, we are proud to work with some incredible, compassionate individuals throughout our service area. All of our agencies have access to educational and training opportunities, technical assistance, our inventory, and several programs, like The Emergency Food Assistance Program and the Commodity Supplemental Food Program, that are run through Feed More. In addition to making sure food is stored and distributed fairly and safely, we also have a dedicated team of Agency Relations Regional Managers that work to help us gain additional information about the communities in our service area and the agencies that help those families every day, along with a Client Assistance team that helps clients access the resources they need. In addition to the USDA programs, some members of our Agency Network also participate in our Direct Store Pick-up program. This program allows agencies to pick up donations directly from grocery stores that are in their community. It’s a great way for our corporate partners to positively impact the folks who live where their store is located and fight food waste. The Direct Store Pick-up also allows our agencies to establish a relationship with our retail partners, while getting the food to those in need more quickly and efficiently. The Feed More Agency Network is a vital part of our organization and we love working with each and every agency to make sure those in need in their community are better served!